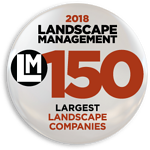 Greenscape Inc. is seeking an energetic, goal-oriented leader to fulfill the role of Landscape Installation Foreman at our N. Raleigh Branch (Turftenders). The ideal candidate is highly motivated, outgoing, and a great communicator with strong time management skills and an eye for innovation and process improvement. Report to work on time and ready. Manage and work with crew members and complete work standards efficiently. Effectively train new crew members on equipment operation, field tasks, safety and job processing. Pay attention to detail and respond quickly to problems while monitoring project activities to ensure instructions are followed and deadlines met. Read landscape plan and provide field layout. Knowledge in hardscape, planting, grading and sod installation, drainage work, irrigation system installation. 2+ years experience in hardscape landscaping. Knowledge of landscape plants and horticultural practices. Experience in leadership of crew members. Valid NC driver’s license with 3+ years of safe driving experience. Ability to work on your feet for 8+ hours a day. Regularly lift and/or move up to 50 pounds and occasionally lift and/or move up to 75 pounds using proper lifting techniques and assistance. Greenscape, Inc. is an Equal Opportunity and E-Verify Employer. MVR required for driver positions. The above statements are intended to describe the general nature and level of work being performed by people assigned to this job. They are not intended to be an exhaustive list of all responsibilities, skill, efforts or working conditions associated with the job. Greenscape, Inc. is a drug, alcohol, tobacco, smoke, e-cig free company.